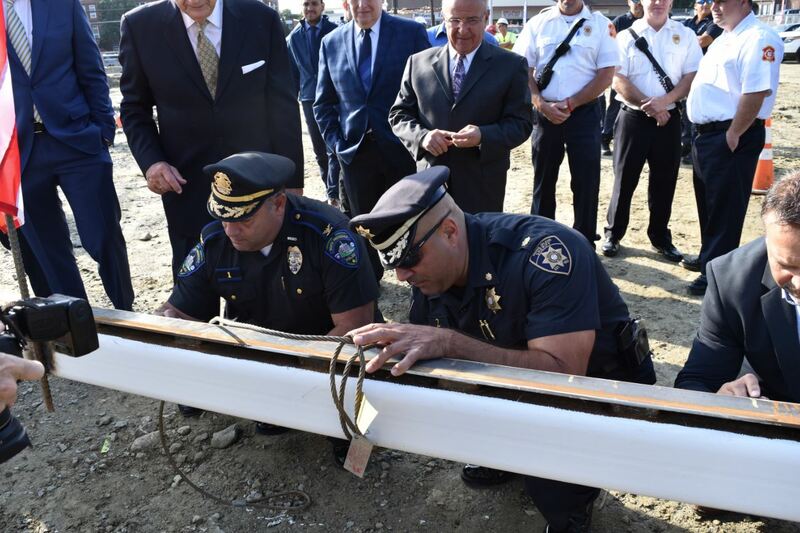 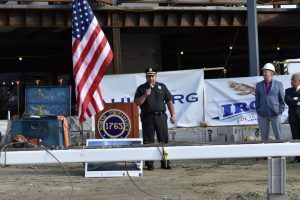 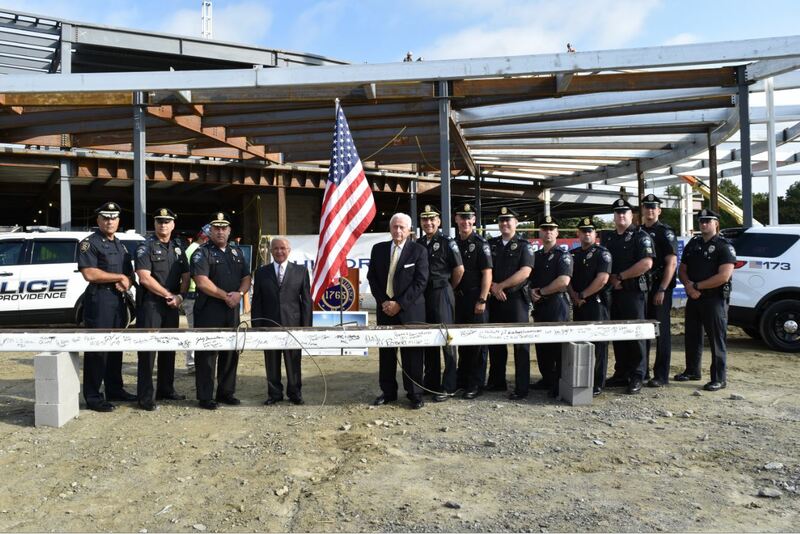 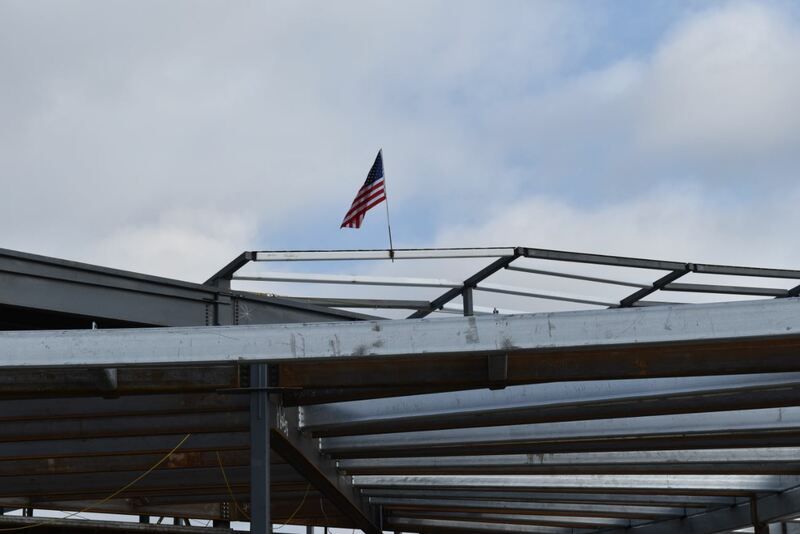 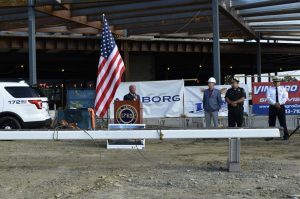 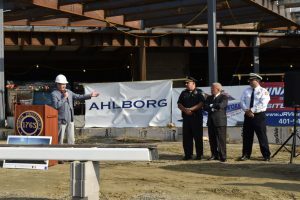 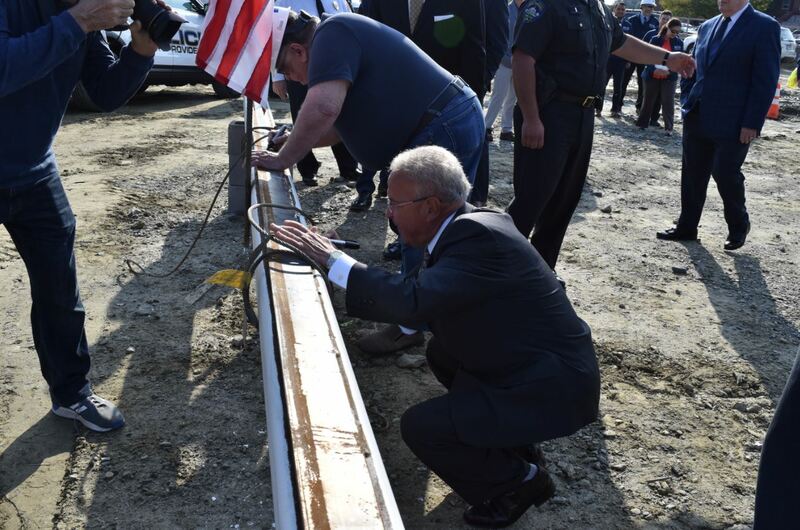 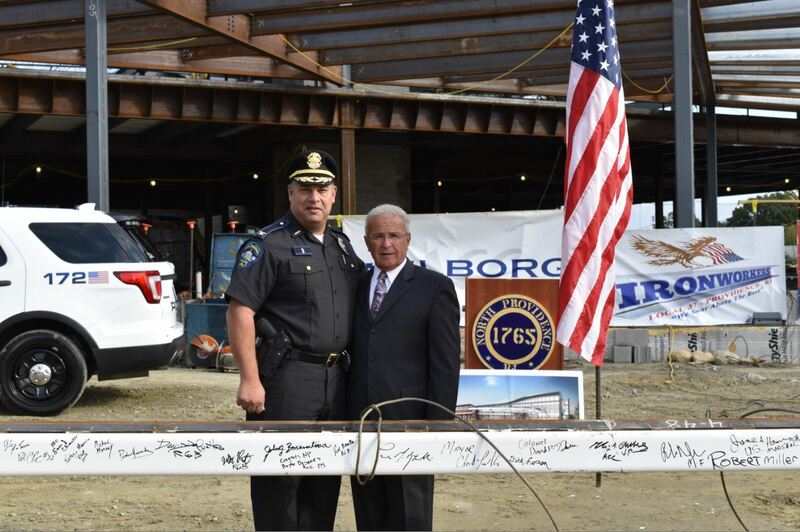 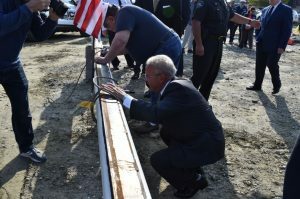 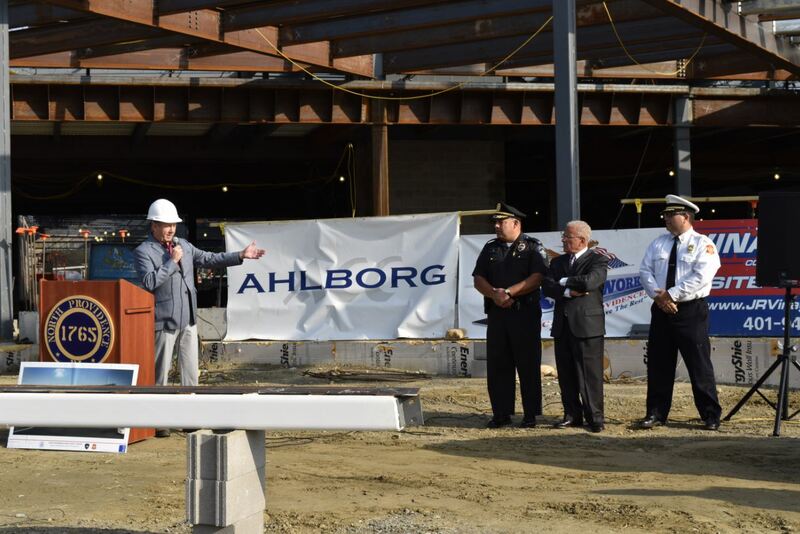 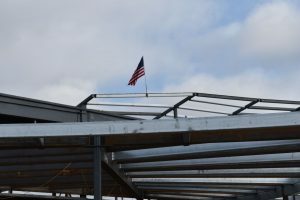 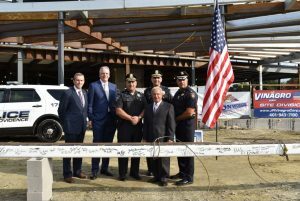 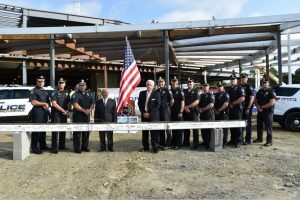 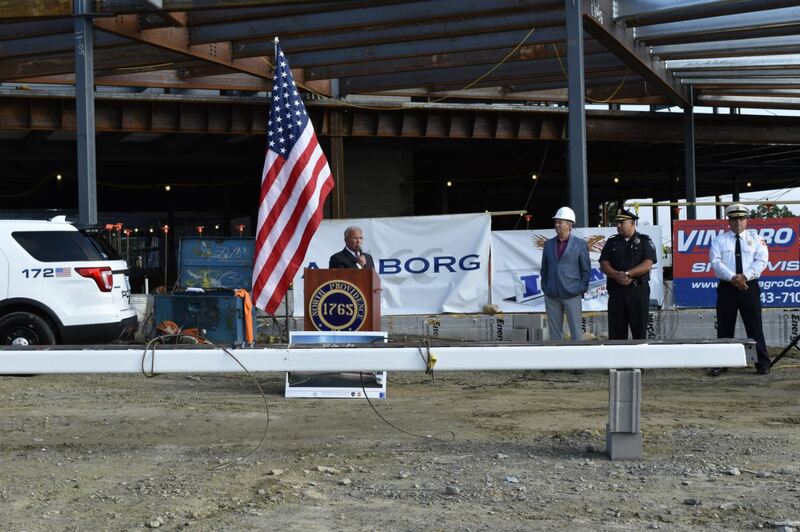 On Monday, October 1, 2018 at 9 AM, Ahlborg Construction, hosted a “Steel Beam Topping Off”, ceremony at the North Providence Public Safety Complex. 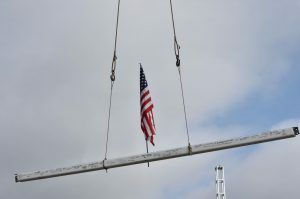 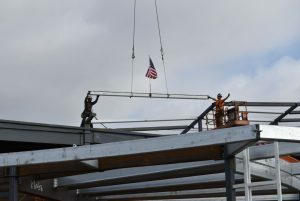 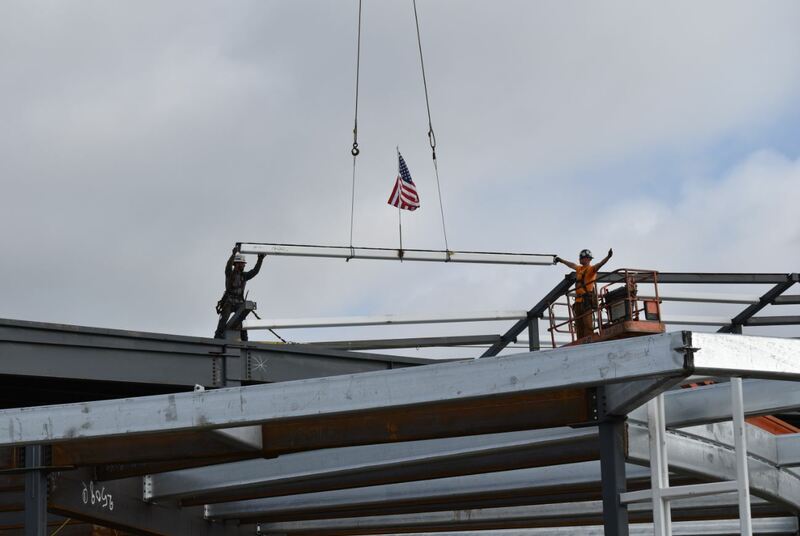 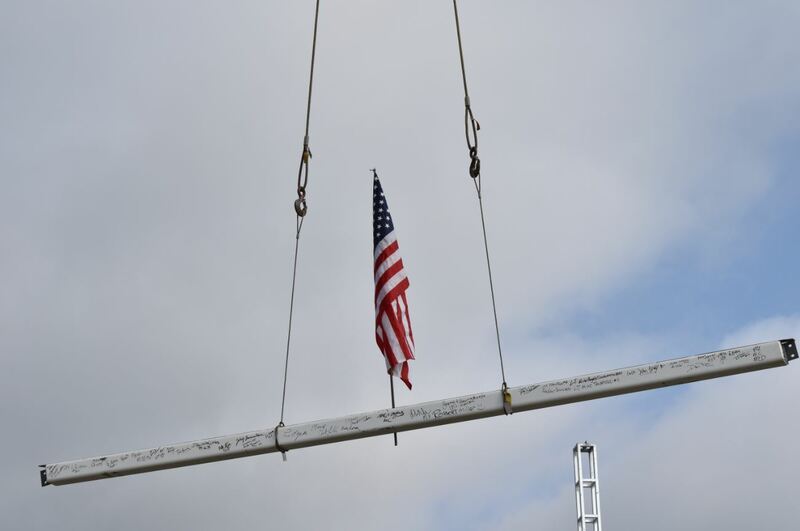 This was a symbolic ceremony, where the crane set the final steel beam for the complex, signifying completion of structural steel installation for the project. 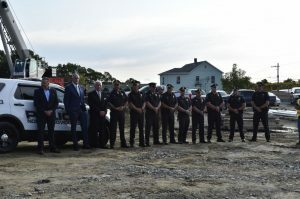 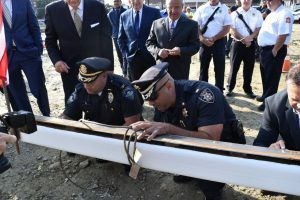 The ceremony was well attended and included; Mayor Charles Lombardi, Former United States Attorney Peter Neronha, United States Marshal Jamie Hainsworth, members of North Providence Police and Fire Departments as well as members of the Public Safety Building Committee.